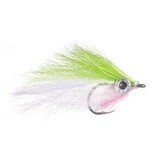 Developed by Henry Cowen, this baitfish pattern is tied with polar fiber, which gives a more unique motion than most synthetic fibers. 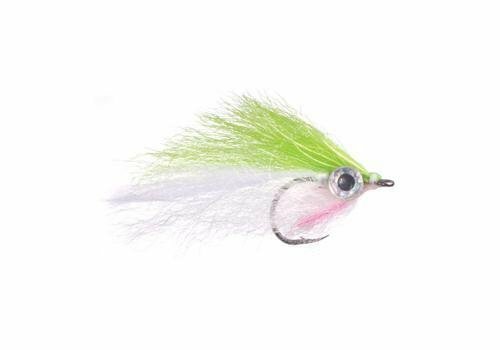 ,It has a weighted hook that gets the fly down quickly and has a pink that appearas to change color in the light. 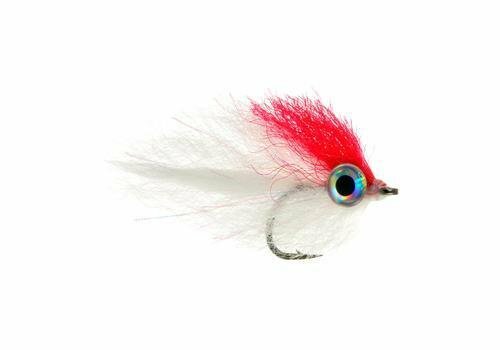 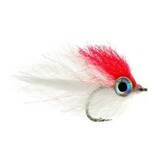 ,It is a proven big baitfish fly and comes in chartreuse/white and red/white.